Achieving a beautiful smile can be easier than you think. 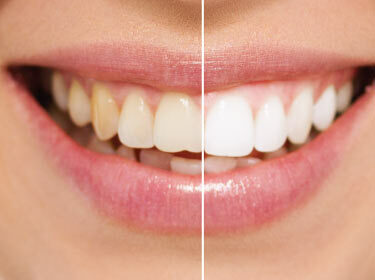 Many people achieve the appearance they’re looking for with a simple teeth whitening procedure. Dental bleaching is a simple process to correct tooth discoloration, which is caused by staining, aging or chemical damage. Using the latest in bleaching technology, we can offer a safe way to create and maintain a whiter, more brilliant smile. In cases where the teeth are extremely discolored, porcelain veneers or dental crowns may be the only option, but bleaching is nearly always worth a try and may help the outcome of other cosmetic treatments. Tooth bleaching is safe, quick and inexpensive. Just let us know you would like to whiten your teeth during your regular checkup and we will create an impression of your mouth to help construct specialized trays to hold the bleach on your teeth. Your custom bleaching trays will be ready for pick up within a day or two, and we will provide you with a special bleaching agent that you can apply yourself. Depending on which bleaching agent you receive, the trays are used daily for a half hour to overnight for about a week, after which time your teeth should be significantly whiter. The bleaching agent removes stains from your enamel without altering the tooth structure or damaging your existing dental work. Once your teeth have reached your desired brightness, you only need to retreat them occasionally to maintain your new brighter, whiter smile. Many over-the-counter bleaching agents are available at drug stores and pharmacies. However, these can sometimes cause harm to the gums and teeth, so it is safer and more effective to consult with the teeth whitening experts at Higson Dental Group for your treatment. 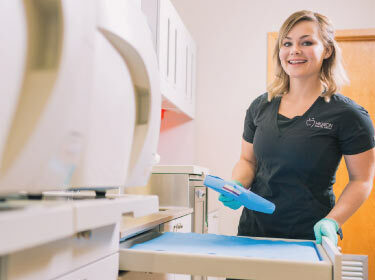 The dentists at Higson Dental Group are happy to meet with you if you have questions about teeth whitening in Grande Prairie and its surrounding areas, and we are always accepting new patients. Visit our contact page or call us at 780-532-4661 to schedule an appointment.